"As a competitive aerobatic pilot and airshow performer precision is a lifestyle. I cannot afford to settle for less than the best, which is exactly what I get with Scheyden." 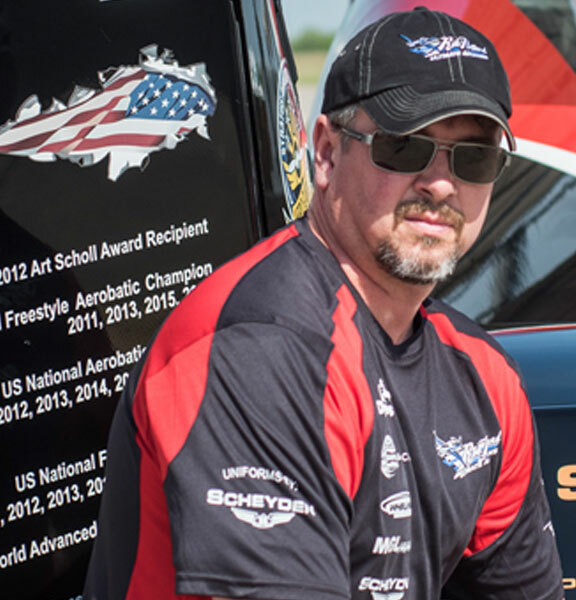 Rob Holland’s accomplishments include four-time, consecutive, World 4-minute Freestyle Champion, seven-time, consecutive, U.S. National Aerobatic Champion, eight-time, U.S., 4-minnute Freestyle Champion, 2015 World Air Games Freestyle Gold Medalist, 2012 Art Scholl Award for Showmanship Recipient, 2008 World Advanced Aerobatic Champion, seven-time U.S. Aerobatic Team member, and 24 Medals in International Competition (11 Gold).